水菜・みずな　Some kind of green vegetable, the best thing to do is to Google-image it. キッシュ　haha, didn’t recognize it. Quiche, from french. So, that settles it. They think it is pitiful to want to become a regular Customer or act as one. Well, ok, now I understand! 接待・せったい　can mean reception, welcome, but here I think it means business Entertainment. 不倫・ふりん　adultery. As Maichan is not married, the term refers certainly to her being single having an affair with a married man. Then Suchan starts reading the book 「負け犬の遠吠え」（まけいぬのとおぼえ）. 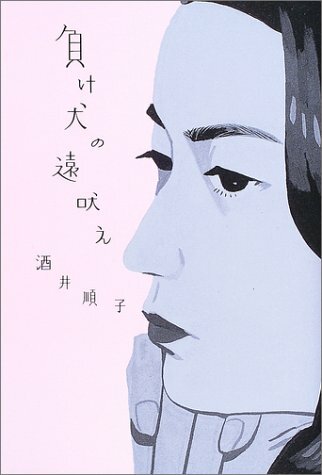 It is a book written by 酒井順子　（さかい・じゅんこ）and published in 2003. I had a look at the wikipedia page of the author, she seems to be quite popular and has written a lot of essays. As for this book in particular, 負け犬 means a dog who has lost a battle and is running away with its tail between its legs. It also means, a woman over 30 who is not married (and doesn’t have children). Even if the title seems insulting, Sakai Junko is, on the contrary, giving her support to women who are over 30, not married, and who don’t have children. In a society were women are expected to marry and raise children, this book seems to have been very popular and created a 負け犬ブーム. Women who choose not to marry and secure themselves a position through work would call themselves 負け犬. I haven’t read the book myself but I have had a look at the many comments of its Amazon page. I can’t understand everything but I think this book depicts women who marry and have children as 勝ち組・かちぐみ and women who choose to do what they want with their life, their time and their money as 負け犬・まけいぬ. It’s great to encourage women who choose not to marry and pursue their career but it also seems that being successful at work and having money has to be the counter part for not marrying and not raising children. As if refusing to become a wife and mother was only accepted if you can prove that you are good at something else. What if you are over 30, not married, but not particularly successful at work or good at anything?